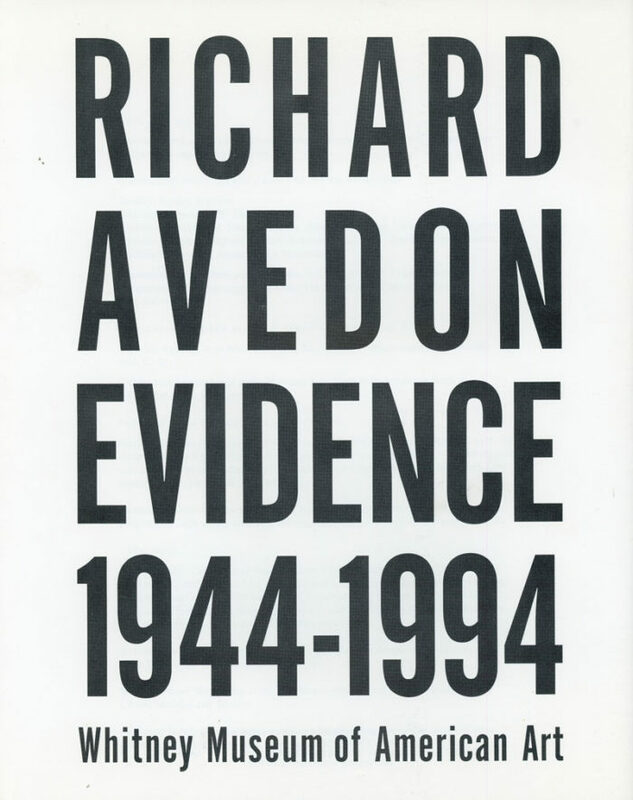 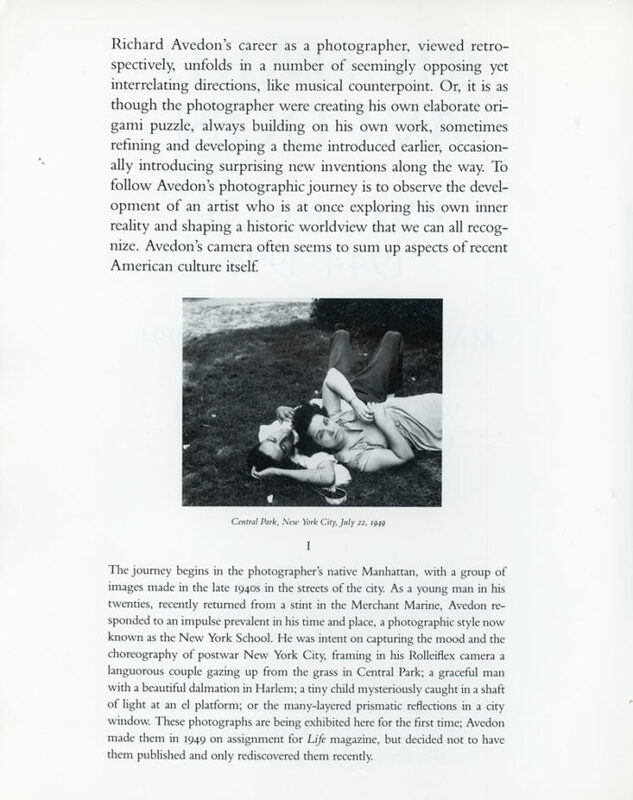 Exhibition booklet for Ricahrd Avedon’s Evidence 1944-1994 exhibition at the Whitney Museum of American Art, 1994. 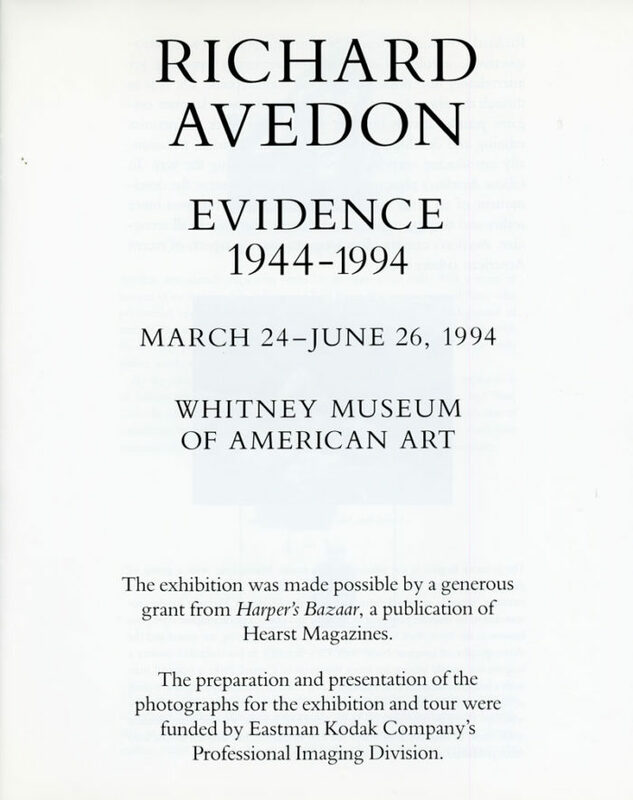 Booklet includes an essay on the exhibition by Jane Livingston, exhibition curator, as well as several images of Avedon’s work. 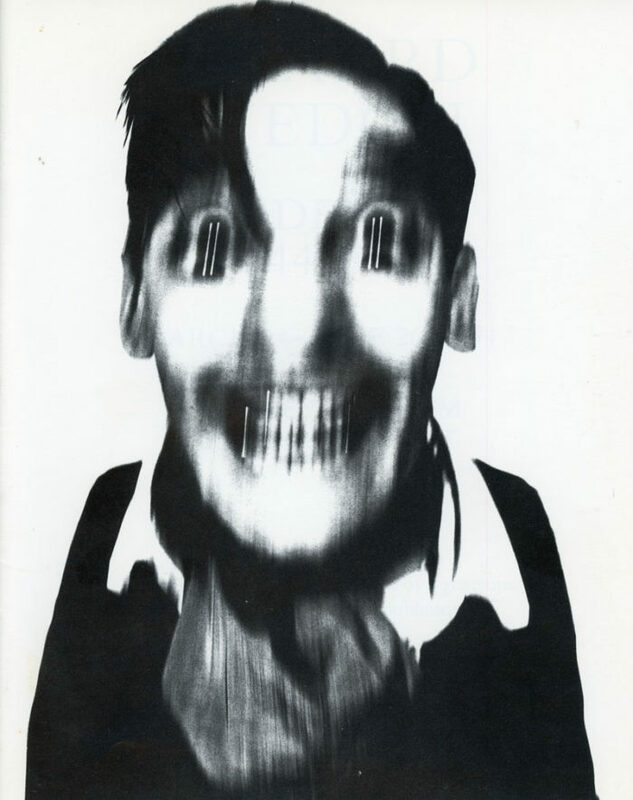 Front of booklet features Avedon’s Killer Joe, dance instructor, New York City, 1962.